Our institution was established in 1991. Since its inception, we have been trying to bring together only high-quality educational institutions around the world. Our members include world schools, universities and educational institutions. Each new member has to go through a complicated admission process and control of the training program. Our leadership is made up of university experts around the world. We are very pleased to have visited our website. We perform accreditation of BBA, MBA, DBA & LLM programs. Quality control of the educational program. We are an internationally recognized council. We respond moderately and flexibly to the development of education. 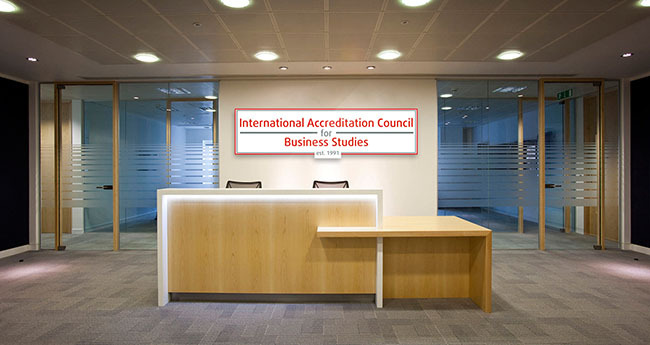 Welcome to the IACBS – International Accreditation Council for Business Studies Our main mission is to accredit high quality BBA, MBA, DBA and LL.M. programs around the world. How useful are MBAs for starting your own business?